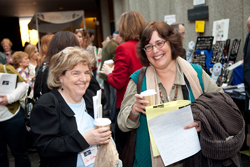 What did you like most about LimmudBoston? Love [presenter’s] energy-brilliance-understanding of her material! This was terrific….It was great! No suggestions. Come back next year! A great way to end the day and a special souvenir also!…Really fun!…Great workshop! Fabulous! I wish I could study with that presenter on a regular basis…Insightful and funny. Give it ten times in the shuk! Fantastic & wise & fun…Valuable workshop…Really great. Great work! Good luck on the dissertation!…It was great!…Just a great way to start the day! Have her again! Very meaningful and thought provoking…I really enjoyed this session! Very interesting topic/fascinating!…Loved it!…Great–don’t change! Very dynamic teacher! Excellent speakers!…Wonderful personal stories–delightful! Very interesting…Great…It went so fast!…Very knowledgeable and passionate about his topic. Has great sense of humor; great for teaching!…Very clear and well-paced. Great classroom discussion…Wonderful –and very interactive. So inspirational! This session was one of the reasons I came to LimmudBoston and it did not disappoint. Very practical application…A lovely opportunity to learn about something totally new to me. Learned so much!…Great as was. Amazing worth the price of Limmud! No need to improve!…Inspiring, well-presented…[he] was very knowlegeable, professional, warm and accessible. I think it was perfect the way it was…I learned how I can use myself & with my classes. Excellent–no suggestions for improvement except to make each session 1.5 hrs to cover more material! No suggestions–it was excellent…Thoroughly enjoyed the workshop. More time! Add a follow-up afternoon session! Compassionate & talented. Extremely helpful, wonderful insights, info and process. I wish there could be more time to cover all this valuable information! Longer!…wonderful! Room packed, people sitting all around room on floor! To hear about Leviticus and holiness! More from everyone! This was as great as any prayer service I have ever attended. Way too much material for a short sessions, but fantastic…Wonderful–very moving. No way this workshop could be improved…Wonderful energy created very quickly–Julie is a gift. Thank you! Thank you!…the content was so compelling that visuals would not have been necessary. Presentation was absolutely fabulous…Excellent, speaker…Fascinating workshop. Interesting material. Very knowledgeable, enthusiastic, thanks! 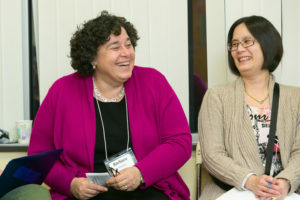 Very Limmudnik style session!…Fun and informative — and emotionally meaningful. Would like to study with him again. Would love to hear [presenter] again on anything he chooses to teach!…wonderful! Best I have attended in years!…wonderful discussion, thank you!…Excellent and fun! Thanks for the insight…Enjoyed very much. Good balance of her speaking and class involvement. It was terrific. More time!..Yay!…Great workshop. So happy to have a workshop for parents!…Just more!